People often ask me how I turned my love of wine from a simple pleasure to a full-blown hobby. The answer is actually very simple: reading. I'll admit that reading has never been one of my favorite pastimes, but as I became more interested in wine, I started going into Barnes & Noble (weird for me) and checking out the "Food & Wine" section. 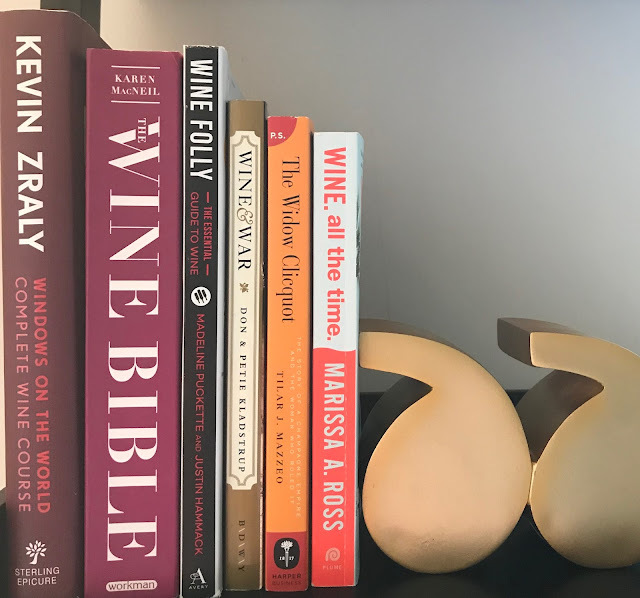 There I found tons of informative books written by wine experts that I have grown to respect. Exploring wine books eventually led me to WSET and then to this! 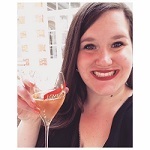 If you're interested in "getting into wine," you've already taken the first step by reading this wine blog. Your next step is to pick up some literature (and continue reading this, of course). Check out my favorites below! In addition to being my favorite website ever, Wine Folly is also an awesome, eye-catching book. Packed with Madeline's Puckette's famous infographics, I recommend this book for beginners looking for a visually appealing introduction to wine. Kevin Zraly's book is both comprehensive and approachable. If you want to build a foundation for an education or somm track, start with this book. You'll learn the basics of every type of wine you'll need to know. Also helpful for anyone looking to better navigate wine lists. I absolutely revere Karen MacNeil but this 1,000 page tome is for the truly dedicated. It took her 10 years to write, which is evidenced by the astounding level of detail that she gives to each wine region. Highly recommended for those seeking an advanced level of knowledge. Marissa Ross is by far the funniest author on this list. Her writing is also down-to-earth and real, making for a wine book that's both informational and entertaining. This book is also the top choice for anyone interested in natural wine—her métier. If you're interested in the role that wine has played in history, pick up this book about its place in World War II. As they explain in the documentary Somm, there's a reason you can't find many vintage bottles from the 30s/40s. (Not that we, regular folk, could afford them if they did exist!) Seriously, Nazis are the worst. One of my best decisions in 2017 was reading this book before my trip to Reims. Like a lot of industries, the world of wine is largely controlled by men. (The patriarchy is the second worst after the Nazis.) But that wasn't the case during the early days at Maison Clicquot where La Grand Dame ran the show. Read this if you're interested in learning how a woman helped make Champagne the greatest wine on Earth. Check out my full review on The Vintner Project. If you'd like an in-depth review of any of these books, just let me know! Information is very informative also you can click here here ,and get such type of info, this is the great resource to get such type of information.